An 18-point inspection is part of our standard chimney cleaning. Type 2 chimney inspections are also available for assessing structural damage to your home or commercial property. Homeowners should have their chimney swept and inspected annually to ensure a safe and efficient system. With 35 years of experience under our belt, we’ll clean your chimney and alert you to any potential problems. Chimneys here in the PNW are exposed to many harsh elements. It’s important to take care of any repairs or problems to prevent bigger problems in the future. With our many years of experience, we can repair all chimney issues so you can enjoy your fireplace again. Chimney leaks can be hard to track down. Our technicians are skilled at diagnosing the problem, coming up with solutions and then quickly go about making the necessary repairs. This is where our 35+ years of experience make the difference. We provide full masonry services including ground-up chimney rebuilds, tuck pointing, block work, water sealing and more. From new projects in brick or stone to masonry restoration work, our head mason and his crew are excellent craftsmen. We can take care of your residential and multi-family dryer vent cleaning and are able to repair. It’s recommended dryer vents be professionally cleaned and inspected every year to prevent fires so let us keep you safe. Looking for a chimney sweep to clean your chimney and do repairs? 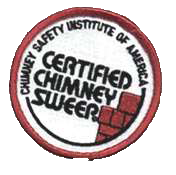 You’ve come to the right place as we not only have 35+ years of experience as a chimney sweeps, but are a full service company offering a variety of chimney-related services. From chimney inspections to masonry repair to chimney leaks and water intrusions, our technicians have been taking care of chimneys from Tacoma to Seattle to the Eastside since 1978. We invite you to contact us with any questions or to schedule a time for one of our staff to come to your home or business for an estimate. We’re here to solve your chimney problems so give us a call today!